Most every morning, I listen to Rick Warren, Andy Stanley or Tim Keller. On long runs, all three. 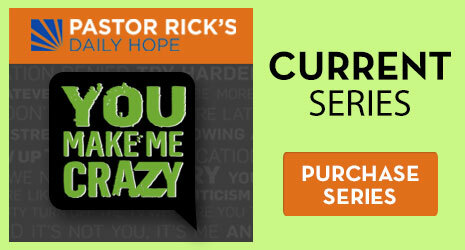 This series of talks “You Make Me Crazy” by Rick Warren was excellent. I didn’t post them all here, at the bottom of post are links to them all. 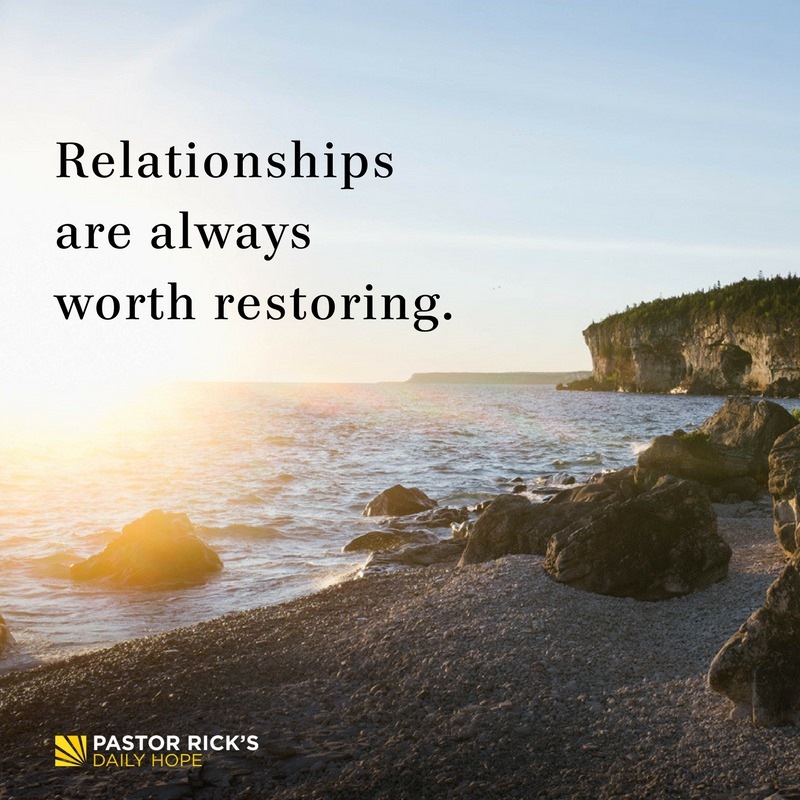 Relationships are always worth restoring. Life is all about learning how to love, and God wants us to value relationships and make every effort to maintain them instead of discarding them whenever there is a rift, a hurt, or a conflict. The first biblical step toward restoring a relationship is to talk to God before talking to the person. Discuss the problem with God. 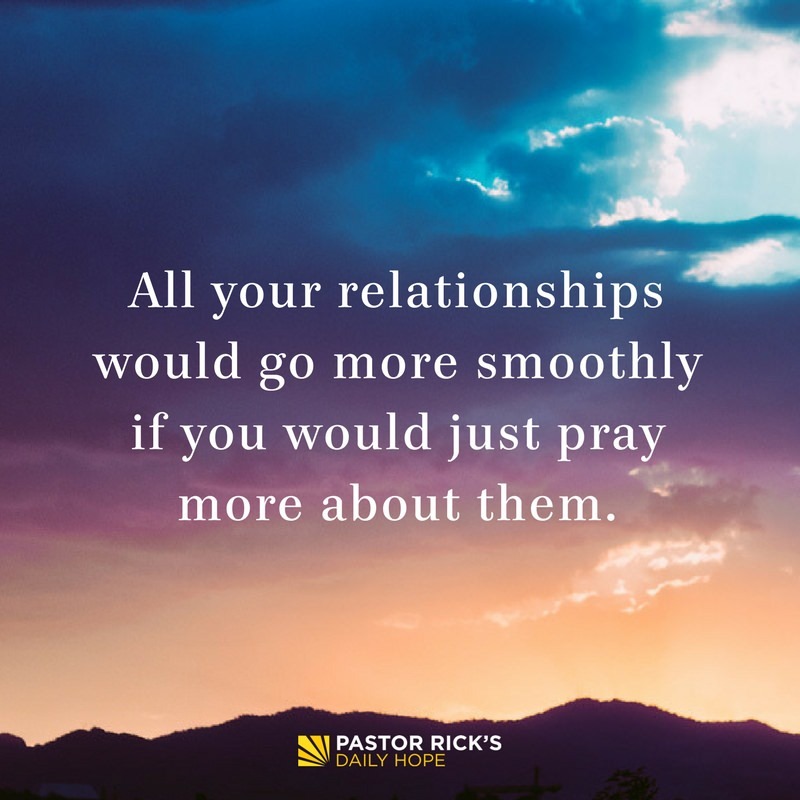 If you’ll pray about the conflict first instead of gossiping to a friend, you’ll often discover that either God changes your heart or he changes the other person without your help. 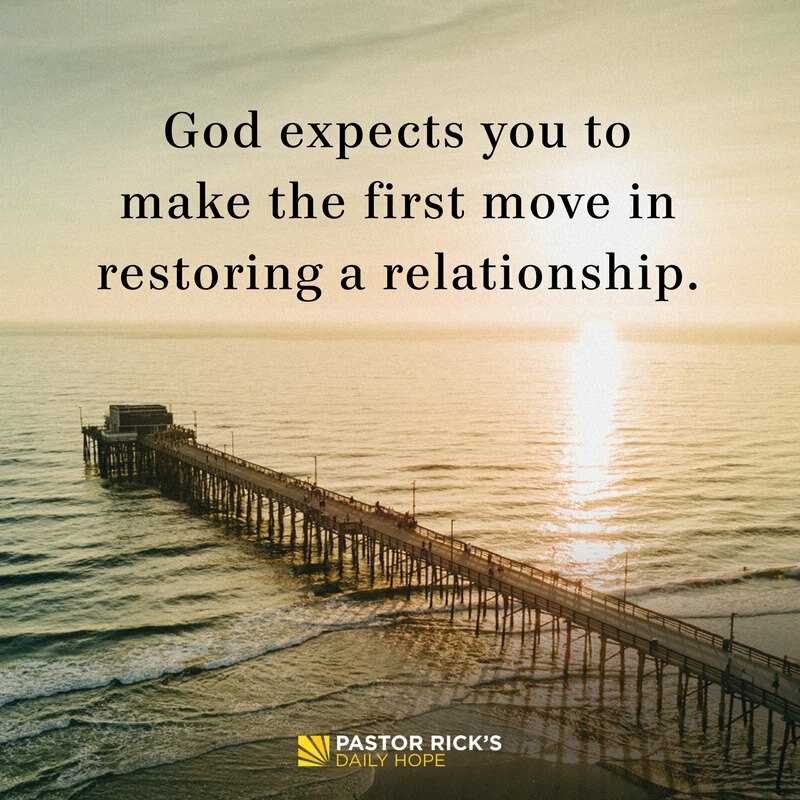 The second biblical step toward restoring a relationship is to take the initiative. 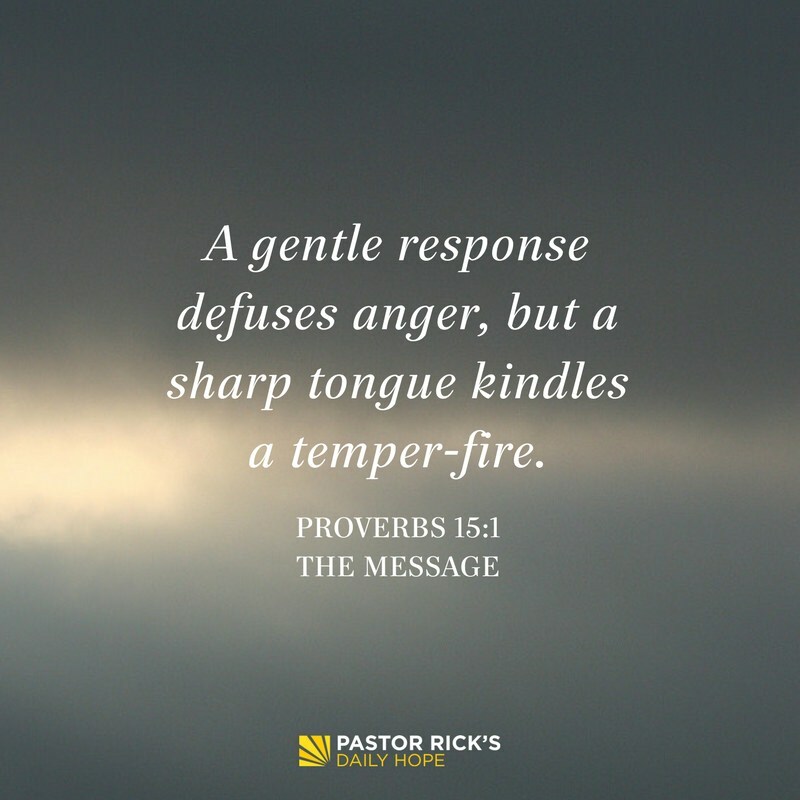 Whether you are the offender or the offended, God expects you to make the first move. Don’t wait for the other party. Go to that person first. The third biblical step toward restoring a relationship is to sympathize with the other person’s feelings. Use your ears more than your mouth. Before attempting to solve any disagreement, you must first listen to the other person’s feelings. The fifth biblical step toward restoring a relationship is to attack the problem, not the person. You cannot fix the problem if you’re consumed with fixing the blame. You must choose between the two. Forgiveness is not resuming a relationship without change. In fact, forgiveness and resuming a relationship are two different things. Forgiveness is what you do as the offended person. Resuming the relationship is what the other person does in order to get back into your good graces. Saying “I’m sorry” is not enough. 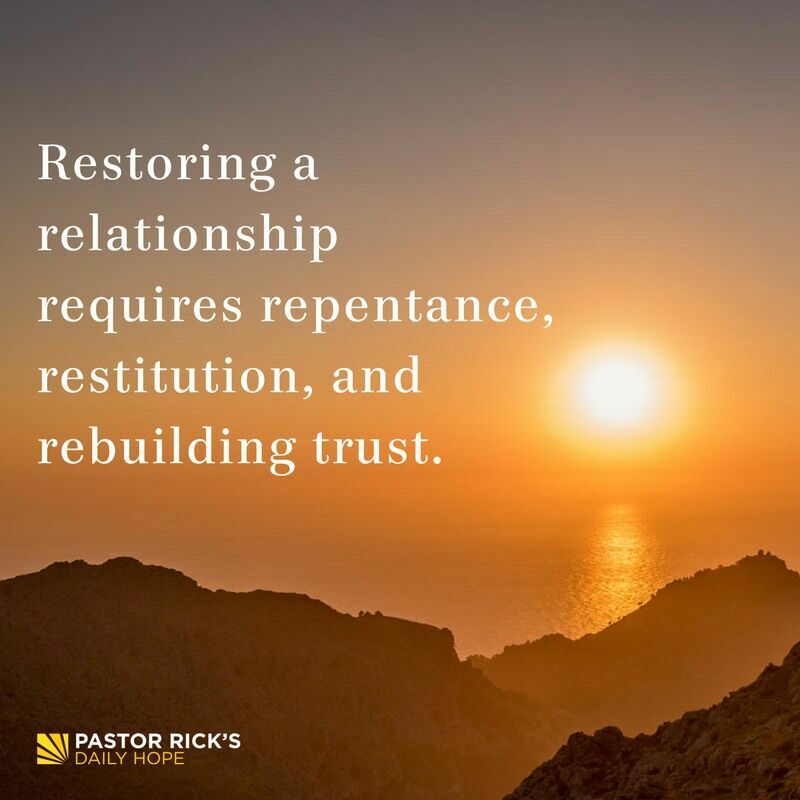 In fact, the Bible teaches three things that are essential to resume a relationship that’s been broken — and the offender has to do all three of these things. Message 2: Who’s Pushing Your Buttons? 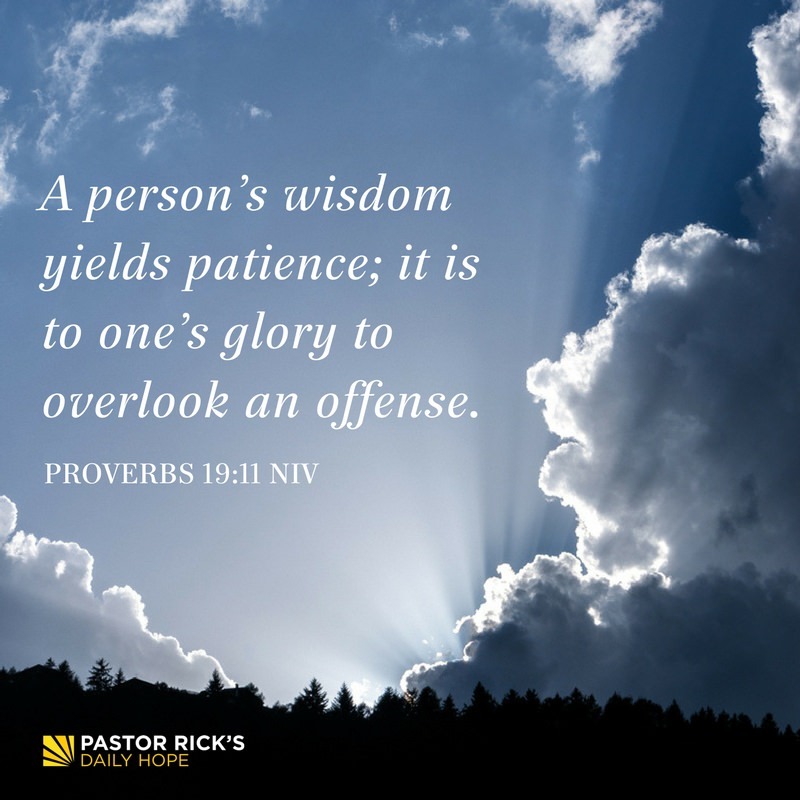 This entry was posted in Anxiety, Broken Hearted, Self-Help and tagged God, Relationships, Rick Warren. Bookmark the permalink.